Mid Century Modern!!! Huge $10k price drop!! 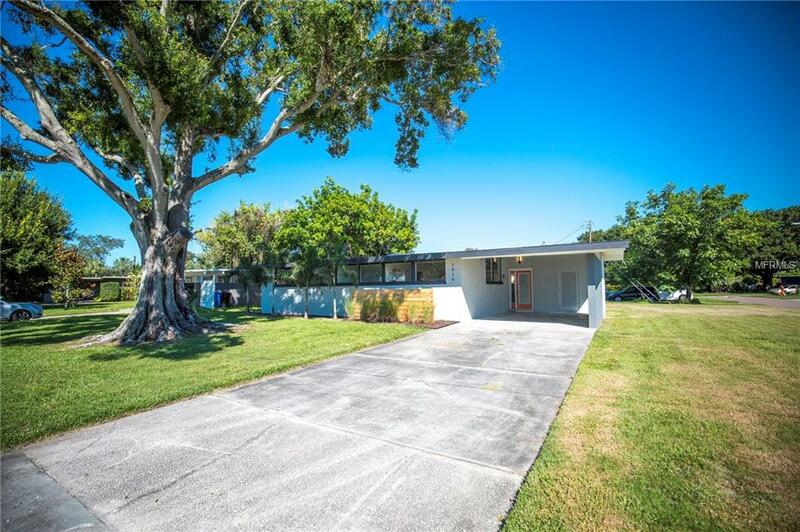 Here is a chance to have a no maintenance Mid Century Modern home of your dreams for under $350k on a huge corner lot that is a legitimate 1790 heat sq ft (not some porch that was converted illegally)! This home is all about quality and necessary updates in houses this old (1950's). Huge open floor plan, vaulted ceilings, new modern kitchen with european flat faced cabinets, Kitchenaid down draft stove, Pelican Quartz, utility/washer dryer room right off the kitchen, both bathrooms where completely renovated with real marble tile in main bathroom, floating vanities, new trim throughout, solid core interior doors, brand new SEWER lines for entire house (sewer lines start to rot out around this age and you don't want to have to tear up the floor when you move in and deal with the hassle! ), brand new WATER lines for entire house (the old copper lines start to get pin hole leaks, don't come home to a flooded house! ), completely REWIRED (the houses in this age only have 2 wire without a ground which is a safety and Fire HAZARD). This is a low maintenance Mid Century Modern. All work was completed with licensed contractor and permits with city of st petersburg. This is not a diy flipped home. Listing provided courtesy of Jay Alan Real Estate.